An executor is the person appointed by a will to act on behalf of the estate of the will maker (the "testator") upon his or her death. An executor is the legal personal representative of a deceased person's estate. The appointment of an executor only becomes effective after the death of the testator. After the testator dies, the person named in the will as executor can decline or renounce the position, and if that is the case should very quickly notify the probate court registry accordingly. There is no legal obligation for that person to accept the appointment. When a person dies without a will then the legal personal representative is known as the "administrator". This is commonly the closest relative, although that person can renounce their right to be Administrator in which case the right moves to the next closest relative. This often happens when parents or grandparents are first in line to become the administrator but renounce their rights as they are old, don't have knowledge of estate law and feel that someone else is better suited to the task. The appointment of an administrator follows a codified list establishing priority appointees. Classes of persons named higher on the list receive priority of appointment to those lower on the list. Although appointees named in the will and relatives of the deceased frequently receive priority over all others, creditors of the deceased and 'any other citizen [of that jurisdiction]' may act as an administrator if there is some cognizable reason or relationship to the estate. Alternatively, if no other person qualifies or no other person accepts appointment, the court will appoint a representative from the local public administrator's office. jointly held assets (and does not consist of real estate in the deceased's name sole or as tenant in common). An applicant may challenge the validity of a person's will after they have died by lodging a Caveat and requisite fee at the probate registry. This prevents anyone from obtaining a grant of probate for that person's estate for six months, which the applicant can shortly before that point apply to extend. A caveat is not be used to extend the time for bringing a claim for financial provision from a person's estate, such as under the Inheritance (Provision for Family and Dependants) Act 1975. The court can order costs against an applicant using a caveat for that purpose. Most estates in the United States include property that is subject to probate proceedings. 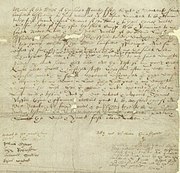 If the property of an estate is not automatically devised to a surviving spouse or heir through principles of joint ownership or survivorship, or otherwise by operation of law, and was not transferred to a trust during the decedent's lifetime, it is generally necessary to "probate the estate", whether or not the decedent had a valid will. For example, life insurance and retirement accounts with properly completed beneficiary designations should avoid probate, as will most bank accounts titled jointly or made payable on death. Some states have procedures that allow for the transfer of assets from small estates through affidavit or through a simplified probate process. For example, California has a “Small Estate Summary Procedure” to allow the summary transfer of a decedent's asset without a formal Probate proceeding. The dollar limit by which the Small Estate procedure can be effectuated is $150,000. ^ Jones, Harvey (15 February 2013). "Dealing with probate in 2013". The Guardian. Retrieved 19 September 2017. ^ "[ARCHIVED CONTENT] UK Government Web Archive – The National Archives: Will of Anthony Bathurst, 1697". Internet Memory Foundation. ^ Harper, Douglas. "probate". Online Etymology Dictionary. Retrieved 5 January 2007. ^ a b For the U.K., see, e.g., "Wills, probate and inheritance". Gov.UK. Retrieved 20 September 2017. , "Probate". The Law Society. Retrieved 20 September 2017. ^ a b For Australia, See, e.g., "What is Probate?". Public Trustee. 8 February 2017. Retrieved 20 September 2017. , "Probate FAQs". Supreme Court of Western Australia. 6 July 2017. Retrieved 20 September 2017. ^ For Canada, see e.g., Kaufman, Leanne (22 February 2013). "To probate or not to probate". Financial Post. Retrieved 20 September 2017. , "Probating an Estate". Courts of Saskatchewan. 2012. Retrieved 20 September 2017. ^ a b For the United States, see e.g., "When Someone Dies - A Non-Lawyer's Guide to Probate in Washington, DC". Lawhelp.org. Council for Court Excellence. Retrieved 20 September 2017. , Larson, Aaron (13 June 2017). "How Probate Works". ExpertLaw. Retrieved 20 September 2017. , "Wills, Estates, and Probate". Judicial Branch of California. Retrieved 20 September 2017. ^ a b c d e f Collinson, Patrick (21 September 2013). "Probate: avoid a final rip-off when sorting out your loved one's estate". The Guardian. Retrieved 19 September 2017. ^ "Probate and Administration Act 1898". www.austlii.edu.au. Retrieved 24 June 2016. ^ "Administration and Probate Act 1958". www.austlii.edu.au. Retrieved 24 June 2016. ^ "Uniform Civil Procedure Rules 1999". www.austlii.edu.au. Retrieved 24 June 2016. ^ "Non‑contentious Probate Rules 1967". www.austlii.edu.au. Retrieved 24 June 2016. ^ "Administration and Probate Act 1919". www.austlii.edu.au. Retrieved 24 June 2016. ^ "Administration and Probate Act 1935". www.austlii.edu.au. Retrieved 24 June 2016. ^ "Administration and Probate Act 1929". www.austlii.edu.au. Retrieved 24 June 2016. ^ "Administration and Probate Act 1993". www.austlii.edu.au. Retrieved 24 June 2016. ^ "Frequently asked questions about publishing a probate notice | Online Registry". onlineregistry.lawlink.nsw.gov.au. Retrieved 24 June 2016. ^ "PART 57 - PROBATE, INHERITANCE AND PRESUMPTION OF DEATH - Civil Procedure Rules". www.justice.gov.uk. Retrieved 22 May 2017. ^ "About HM Courts & Tribunals Service". Hmcourts-service.gov.uk. 1 April 2011. Archived from the original on 6 June 2011. Retrieved 10 April 2014. ^ "Applying for probate". nidreict Government Services. Retrieved 19 September 2017. ^ "Wills, probate and inheritance". Gov.UK. Retrieved 19 September 2017. ^ "Valuing the estate of someone who's died". Gov.UK. Retrieved 19 September 2017. ^ Gloag and Henderson (2017). The Law of Scotland (14th ed.). W. Green. p. 1130. ^ "Dealing With a Deceased's Estate in Scotland". Scottish Courts and Tribunals Service. Retrieved 19 April 2018. ^ Horn, John; Johnsen-Tracy, Dera. "Avoid the Top 10 Mistakes Made With Beneficiary Designations". AAII. American Association of Individual Investors. Retrieved 6 April 2019. ^ "Affidavit for Transfer of Personal Property Worth $150,000 or Less". California Courts. Retrieved 8 June 2017. ^ O'Neill, Kevin. "Probate". Office of the Surrogate. Warren County, New Jersey. Retrieved 19 September 2017. ^ Dobbin, Ben (13 March 2008). "Woman Denied Jell-O Fortune". ABC News. Associated Press. Retrieved 19 September 2017. This page was last edited on 15 April 2019, at 18:06 (UTC).